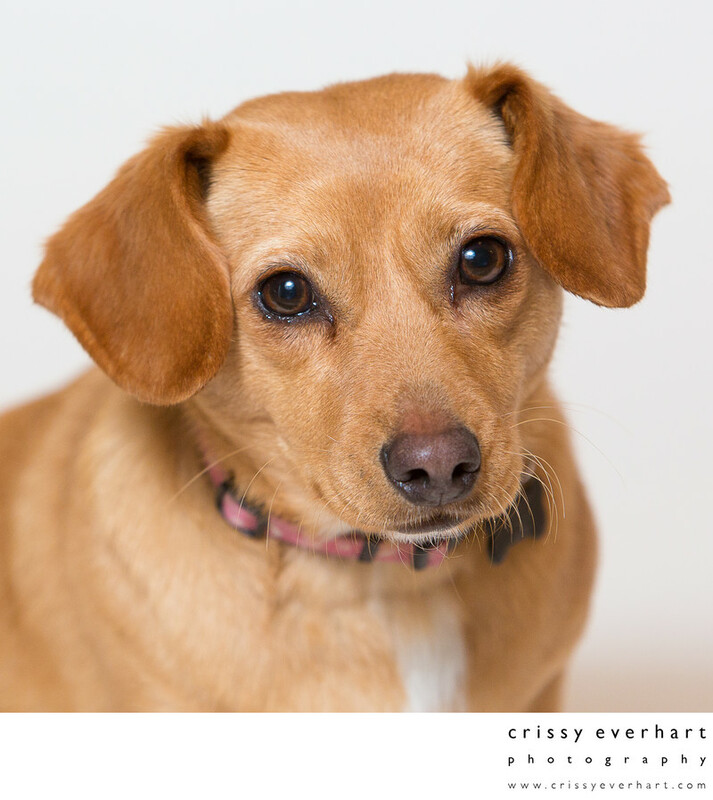 Marley, the SPCA rescue who is part Dachshund and part terrier, poses on the white backdrop for her close-up. Chester County pet photographer with indoor and outdoor photo studio in Malvern. Location: 690 Sugartown Rd, Malvern, PA 19301.